Compared to local prices here in Northern Florida this is a bargain! I mix this with Sparrow original to give it more of a Winston 1950's taste. Really delighted with this tobacco for my general smoke. Am planning to ad some flavored tobaccos for after dinner series of ciggs. just got some and it seems like a nice light smoke haven't smoked much of it yet but seems good for the price . I received a free 6 oz sample with an order and gave it a try. Its not too moist or dry. Just right for making your own smokes. The aroma is wonderful and light. The taste is mellow with just a little nip of cavendish on the back of your tongue. This is something that most packaged cigarettes lack. I promptly ordered two more pounds. The price is in the medium range. I paired mine with Beretta light filters and enjoy every smoke. 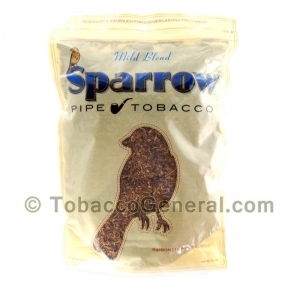 I am planning to mix it with whiskey flavored tobacco to get a little fuller flavor. I have tried several brands including OHM, Buoy and Chokers Pride. Sparrow is the winner so far with OHM a distant second. Spend the extra dollar per pound and get something you enjoy smoking. 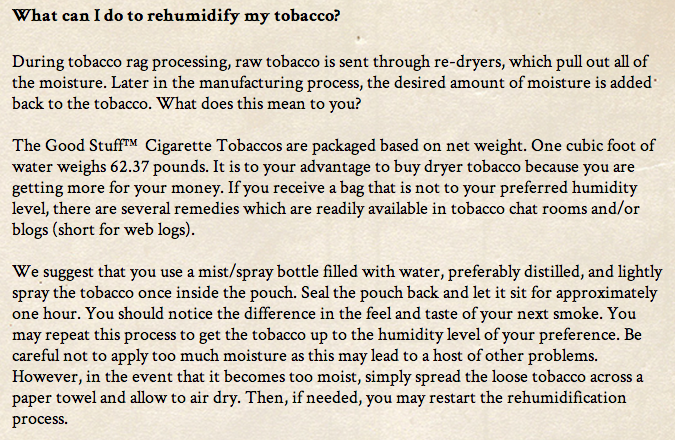 Ultra Light tobacco - just what I have been looking for - for a year. Was afraid to try it due to the price being so low. Mix it 3 to 1 with the #23 menthol and I finally have something very close to Salem Ultra Lights (Silver). Throw in a little Smokers Pride Vanilla - and I have a very fine smoke!